Since 2006, Thinking Capital has provided over 10,000 Canadian businesses with innovative financing solutions and supported them with immediate actions that they can take to boost their performance. With a fast and simple application process, merchants can receive funds within days of applying. 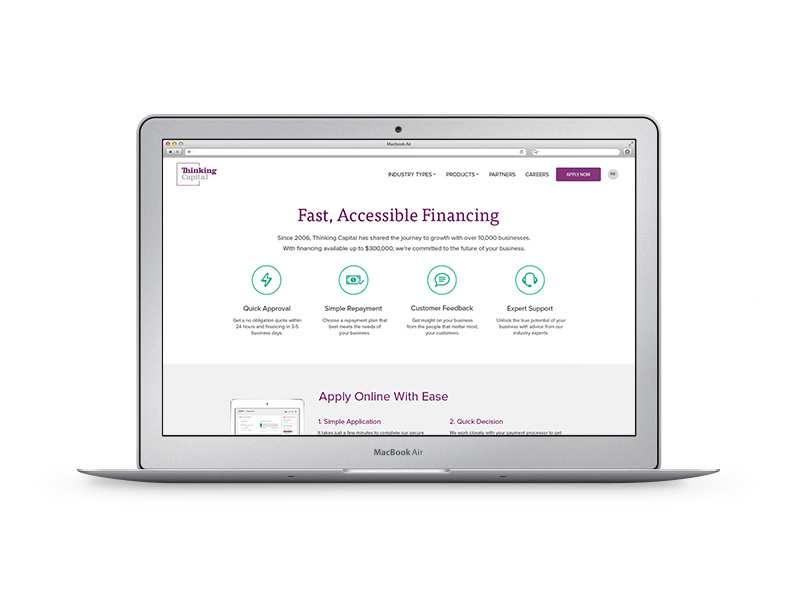 Thinking Capital’s unique business model has allowed them to partner with leading payment processors, such as Moneris, to help scale their reach and further streamline the repayment process for their shared customers. Due to the innovative nature of their product, Thinking Capital needed an equally innovative sales strategy to effectively communicate their value to potential customers. The sales team understood that market insights relevant to a particular business’ background and local landscape would help to deepen the conversation and turn the lead into a customer. Such insights would provide the business owner with feedback, ideas, and inspiration on how to grow their business through reinvestment. With a better understanding of their customers, competitors, and local trends, merchants could envision how an influx of cash may enable them to fund capital improvements, increased staffing, renovations, or expansion. In order to improve efficiency and help scale up their lead flow, the sales team needed access to market insights quickly and easily - not only in the office but also in the field. Switching systems to pull data or relying on manual processes meant valuable time lost, both before and during a customer call. Such relevant information included location-based data, competitor information, consumer-reviews, and other insights. Having access to this data in the field was critical for the Thinking Capital sales team to identify new leads and close new deals. The Thinking Capital team decided the easiest way to deliver customer insights to the sales team would be through a mobile app. Already using the Sales Cloud and Salesforce platform to identify and contact target businesses, they built a mobile app on Heroku to integrate market insight data with their Salesforce account structure. This provided the sales team with real-time market insights inline with a customer account record, allowing them to enrich their conversations with prospective and current customers. Building a simple, yet sophisticated app on the Heroku platform meant that the sales team did not have to wait for infrastructure upgrades, DevOps hires, or additional IT expenditures to get the support tool they needed. Thinking Capital developers were able to deploy quickly, and using Heroku, easily plug the new app into their existing Salesforce instance. The Heroku app removed the need for the sales team to access multiple systems or manually gather the valuable insights they needed to effectively drive a customer conversation. 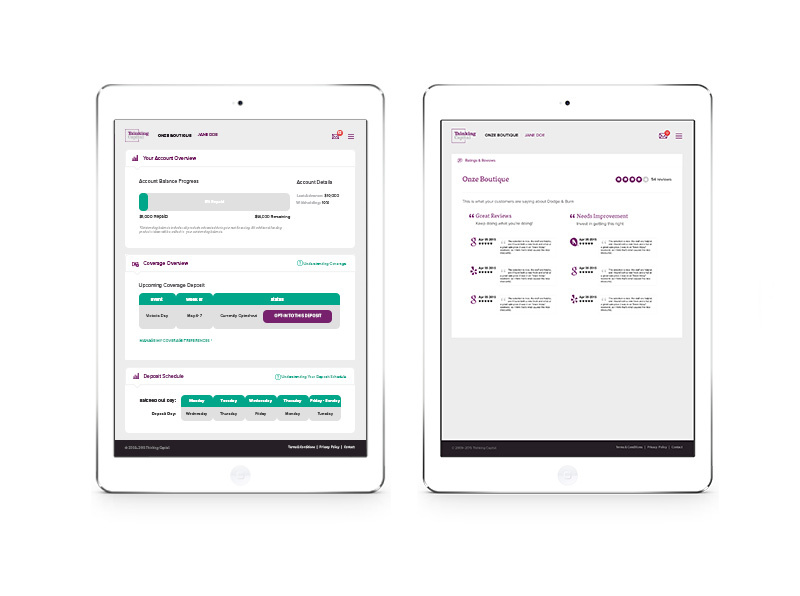 They can now simply pull up a customer record and view market data and analytics at the same time. With this valuable data right at their fingertips, the Thinking Capital sales team can more efficiently prepare for a call or spontaneously include insights during the flow of a customer conversation. Whether in the office or on a mobile device, the same Heroku app serves an integrated, data-rich account record that truly empowers a Thinking Capital sales rep to convert a prospect into a customer. Does your company need to give your sales team an edge by providing useful market insights or other real-time data in the palm of their hands? Thinking Capital is a great example of how integrating third-party data in a Heroku app can provide a sales team easy access to the up-to-the-minute information that can help them close deals. For more information, contact Heroku today. Thinking Capital is a clear leader in the Canadian Alternative Lending space, leveraging technology to be at the forefront of the FinTech industry. Since 2006, they have helped more than 10,000 small-to-medium sized Canadian businesses reach their full potential. 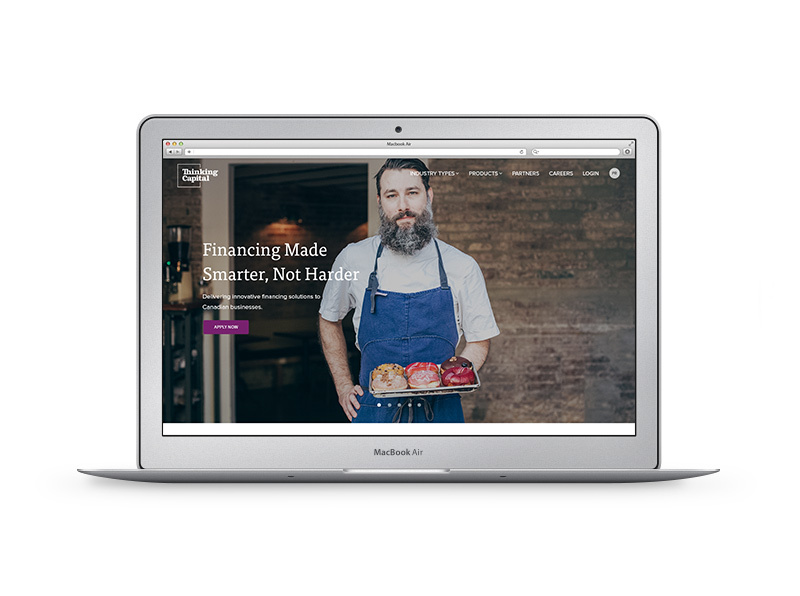 By combining their people and technology, Thinking Capital is transforming the way business owners get the capital they need to grow. For more information, visit: www.thinkingcapital.ca.